January is THE month for professional golf tournaments in Hawaii. The PGA hosts three back to back tournaments; the Sentry Tournament of Champions at Kapalua Maui, the Sony Open at Waialae Country Club Oahu, and the Mitsubishi Electric Championship at Hualalai Big Island. Later in April, the ladies get to enjoy paradise at the LPGA Lotte Championship at Ko Olina Oahu. Avid golfers often think of the Big Island and Maui as great places to visit and even to purchase a vacation home. But don’t overlook Oahu. Did you notice that two of the four professional tournaments listed above are on Oahu? The island of Oahu may not have as many oceanfront, “picture postcard” courses, but Oahu makes up for it with more variety and affordability. Oahu boasts thirty-five (35) eighteen-hole golf courses (according to the USGA); compare that to the Big Island (17), Maui (15) and Kauai (9). More importantly, 20 of the courses on Oahu are municipal or public, meaning easier access. That’s many more than on the Big Island (6), Maui (5), and Kauai (3). Unless you’re staying at one of the pricey resorts, it can be difficult to get onto a resort course during peak season. And to play on a private course, you need to find a member sponsor. Oahu really shines when it comes to affordability. Afternoon “twilight” rates for some really good courses are as low as $50 at Ko’olau (after 3pm) and $75 at Coral Creek (after 12pm). Once you buy your vacation home on Oahu, you can obtain a Hawaii driver’s license and ask for a Kama’aina discount rate! If you spend a lot of time on the island, you will want variety and Oahu delivers. Waialae, Ko Olina, and Turtle Bay offer world-class golf in an oceanfront, relatively flat resort setting. Royal Hawaiian, Ko’olau, and Pali are just over the mountains from Honolulu and offer dramatic hills and scenery. One of my favorites for access, price, and location is Hawaii Kai, wedged between beaches, resort housing and mountains. 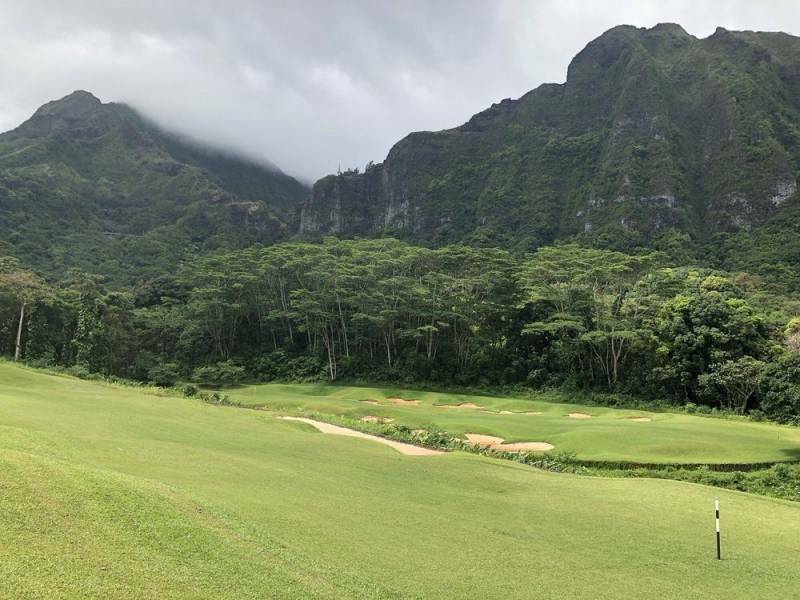 Ko’olau Golf Club was listed by Golf Magazine as one of the “Top 100 Place to Play.” It’s incredibly beautiful but very hilly, and when it opened, it was considered the most difficult course in the U.S. It has gotten slightly easier, but it is still likely the most difficult in Hawaii with 7,258 yards up and down hills. The course rating from the black tees is 78.2 and slope of 153 (max difficulty is 155). If you’re not a golf geek, that means a typical par golfer will likely shoot 78+. So, it’s a great course if you want to enjoy the views of the mountains and not worry about your scorecard. And if you’re a real glutton for punishment, you can replay later the same day for just $25! Rating 78.2, Slope 153. Visitors $65 (after 3pm)-$155. A Pete & Perry Dye designed course near Ko’olau Golf Course but less hilly. Royal Hawaiian used to be a private Japanese country club, but it was renovated and is now open to the public. Be sure to have breakfast at the ‘Olena restaurant for the yummy kalua pork and sweet potato hash! Rating 71.5, Slope 132. Visitors $115-$160. Residents/Military $40-$65. The setting of Turtle Bay is ideal, sticking out into to the Pacific near the Sunset, Pipeline, and Waimea surf spots. The resort offers two courses but the Arnold Palmer designed course is our favorite. In December 2018, the resort announced a partnership with Troon, one of the world’s largest golf course management companies. This should only improve the overall experience. Before and/or after your round indulge in the resorts many excellent restaurants and bars. Rating 74.6, Slope 136. Visitors $120-$195. Hotel Guests $120-$165. Residents $65-$85. 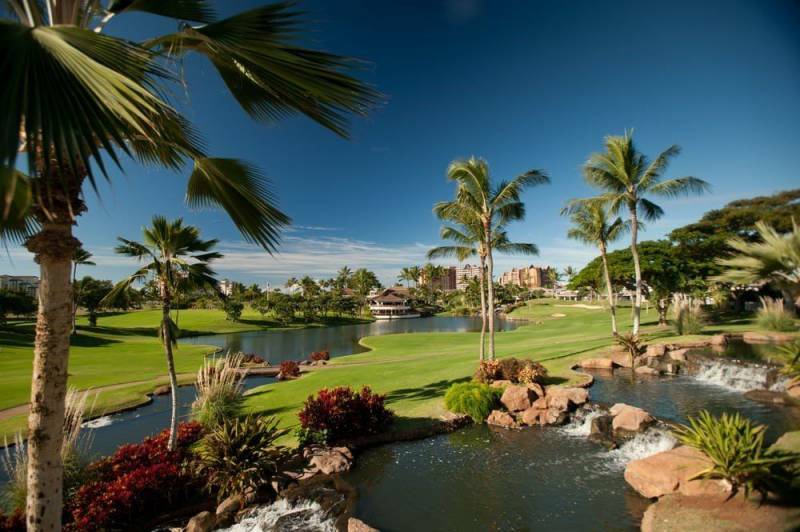 This beautiful resort style course is in the master planned resort of Ko Olina in West Oahu. 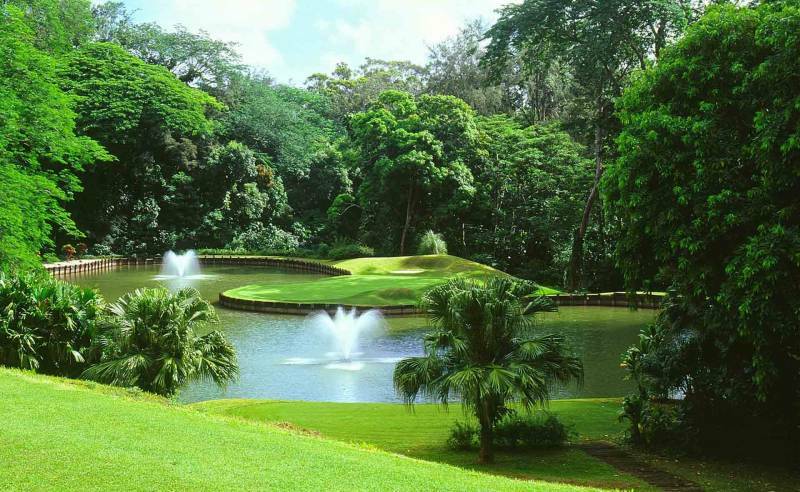 It was designed by Ted Robinson and as mentioned above, it is the home of the LPGA Lotte Championship. 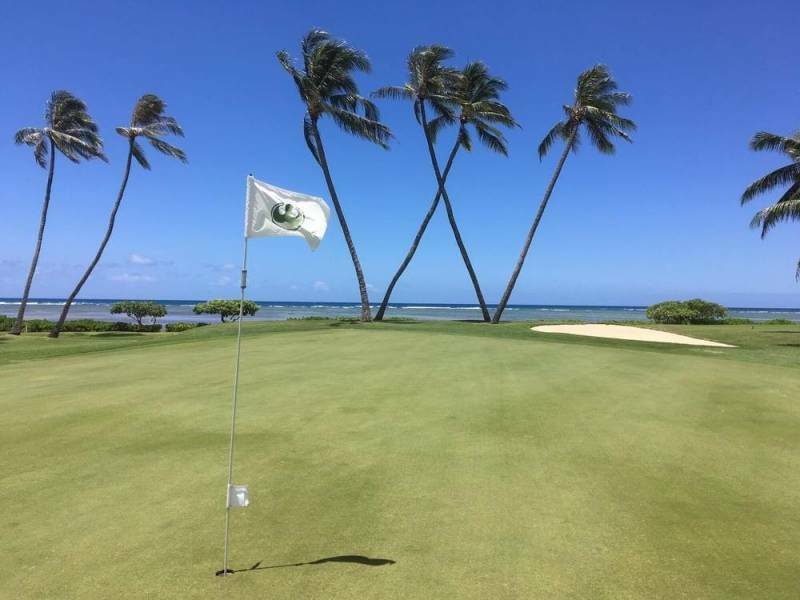 Ranked as one of the top 75 resort courses in the country by Golf Digest, it is also ranked the best on Oahu by TripAdvisor and many local publications. After your game, visit the “19th hole” restaurant by chef Roy Yamaguchi. Rating 73.6, Slope 138. Visitors $160-$225. Residents $65-$85. Rating 74.4, Slope 132. Visitors $87-$170. Hotel Guests $72-$128. 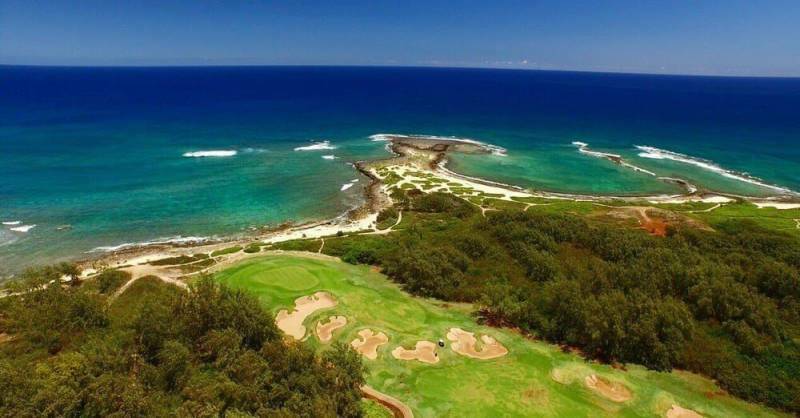 This legendary course first opened in 1927 to encourage luxury passenger cruises to Oahu. It is a very exclusive country club, so you must find a member who will sponsor you. The course is just outside Waikiki in the wealthy Kahala neighborhood. Waialae has been the home of a PGA tournament (now called the Sony Open) since 1965. The Country Club is next door to the Kahala Resort. which offers some of the best dining on the island. Oahu has an abundance of golf courses, ranging from world-class Ko Olina to the municipal course at Ala Wai, just behind Waikiki. With 35 to choose from, you have a great range in difficulty, price, access, and course design. 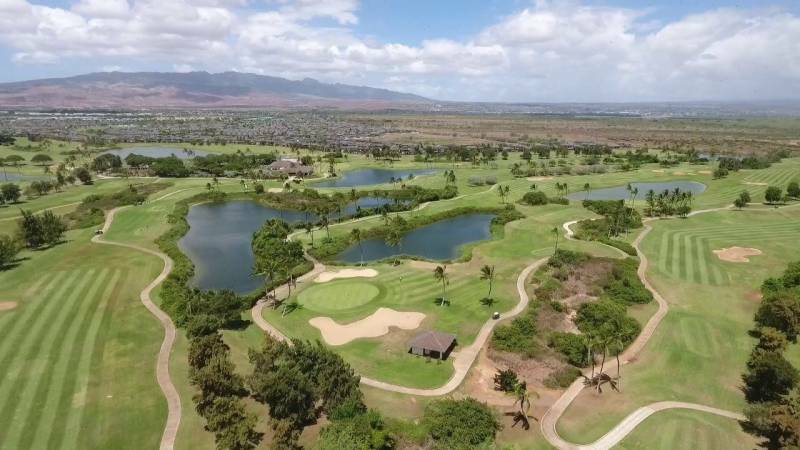 But the beauty of Oahu’s golf is that all of them are just a drive away from all the other things that make Oahu great — world-class dining, shopping, surfing, tourist attractions, and more. Oahu truly has it all! When you’re ready to pack your clubs and find a vacation home on Oahu, let me know how I can help!